Great news, homeowners in the Liberty Lake area don’t have to worry about garage door services! 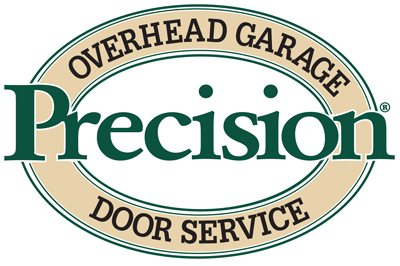 Precision Garage Door has you covered. Whether it's garage door repairs or garage door parts, or you're looking for a completely new garage door, Precision Door of Liberty Lake Washington is ready 24/7. You can count on our certified technicians to diagnose and solve your garage door issues professionally and quickly. We are excited to serve the Liberty Lake community. Contact us today if you have questions about your garage door. Check out exclusive Web-Only Money Saving Offers! Depending on your specific neighborhood, garage doors are sometimes less about weather protection, and more about curb appeal. If your garage door doesn't provide the first impression you're looking for - it may be time for a new garage door. Whether you're looking to increase your home's value, or just need a new functional door, Precision Door of Liberty Lake Washington has many styles to choose from and will help find the perfect door for you. Our garage door experts live and work in the area and can help you find the brand new garage door you want, within the budget you need. We pride ourselves on fast, friendly service, and we will gladly haul away and recycle your old door. Garage Doors are essential in how we enter and exit today’s homes. We understand the inconvenience and the urgency of faulty Garage Doors. Our certified technicians offer Liberty Lake, residents timely and reliable garage door repairs, within your budget. We take pride in properly diagnosing all possible issues and finding long term solutions. Liberty Lake homeowners expect their garage door openers to be both safe and convenient. The garage door is now the most used door to the home. This means you need a reliable one. You need a local garage door company that can provide you the best value in garage door opener repair and maintenance - Make the Right Decision, Call Precision Garage Door Service. Precision Garage Door installs the best and longest lasting parts in the industry and backs them with a great warranty. We use only commercial-grade garage door parts and our springs, brackets, rollers, and bearings will make your garage door safer, quieter and easier to maintain. Call us for quick, local, high quality garage door parts.